A cloud is simply a centralised technology platform which provides specific IT Services to a selected range of users, offering the ability to login from anywhere, ideally from any device and over any connection, including the Internet. 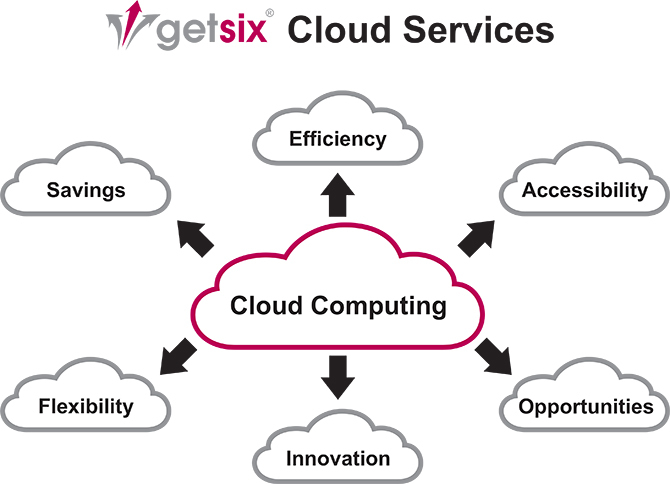 getsix® believes that a true cloud computing service is one which removes the traditional barriers which exist between software applications, data and devices. In other words, it is the nirvana of computing from a user’s perspective… no need to worry about location, device, or type of connection, all the data and the software applications required by the user are fully available and the experience remains consistent. The highest standards of data protection must be a given, whereby users do not have to think about protecting the integrity of the data they use and store. getsix® provides a broad spectrum of both application delivery services to its clients, ranging from the design, implementation and management of private clouds, right through to the provision of hosted cloud solutions delivered via getsix® own, cloud infrastructure. The basis of our provided solutions and services based on the Cloud Technology, is our professional IT Staff and our used IT technology. It is only possible to offer professional solutions and services based on the Cloud, if you are using state-of-the-art technology in combination with highly professional IT Staff. getsix® IT Desk are ready to answer your questions, or just write us an email.